Ramos, E.L., Llinas-Audet, Xavier, J. B. 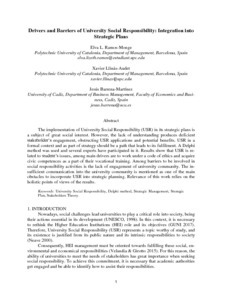 Drivers and barriers of university social responsibility: integration into strategic plans. "World review of entrepreneurship, management and sustainable development", 1 Gener 2019.